Stay tuned to this page for special event dates and details. Information will be posted as soon as it becomes available. Looking for the current season schedule? Find it here. 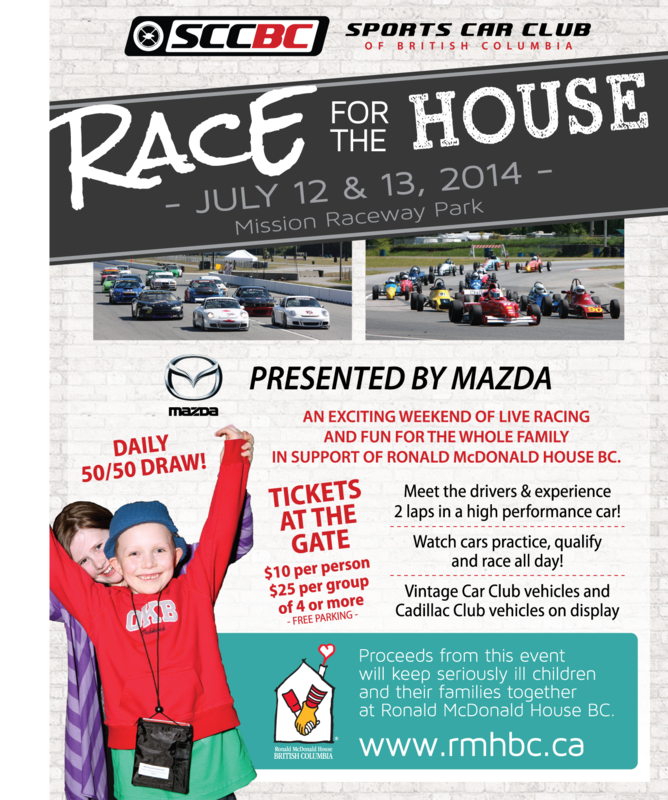 Preparations are well underway for the July 18-19, 2015 ‘Race for the House’ motorsport racing event in support of BC’s Ronald McDonald House (RMHBC). 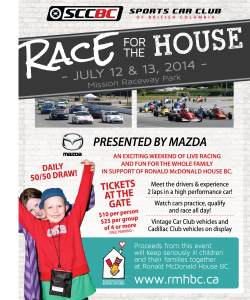 Sponsored by Mazda Canada and hosted by the Sports Car Club of BC (SCCBC) at Mission Raceway Park, the event stands to be the best of the racing season with plenty of fun events for the entire family. Best of all, the proceeds go to support seriously ill children and their families through Ronald McDonald House BC. For more information on the Sports Car Club of BC’s exciting racing schedule, visit our schedule page.